There’s been some selling seen in the US indices ahead of the Wall Street open, with the market pulling back after reaching their highest level in 1-month during Wednesday’s session. On the data front there’s been some better than expected 2nd tier data, but this on its own is unlikely to have a lasting impact on the markets. 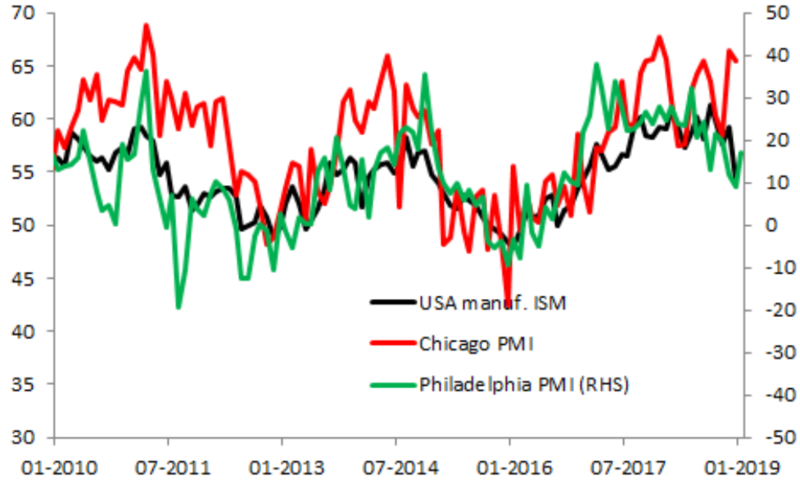 Just under an hour ago the latest Philadelphia Fed manufacturing index showed a higher than forecast reading of 17.0 against a consensus estimate of 9.5. New orders were one component that was particularly strong (21.3 v 13.3) but the employment index was poor (9.6 v 19.1) and viewed in the context of the prior index reading being the worst since August 2016, maybe the rise this time out isn’t as positive as it first appeared. 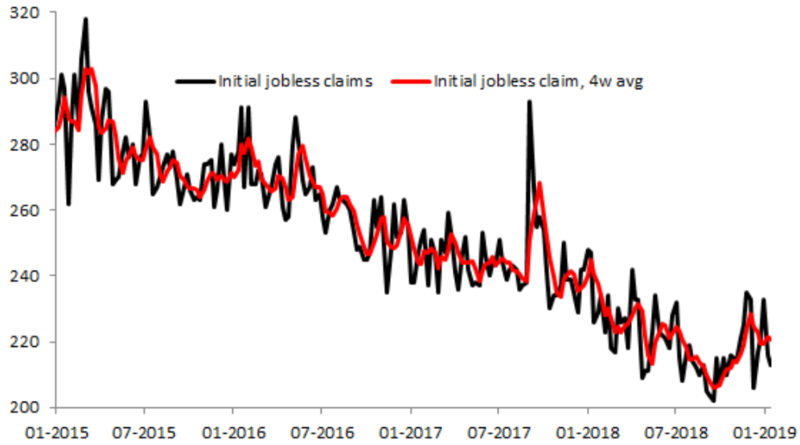 At the same time as the manufacturing data, there was also the release of the weekly initial jobless claims, which fell unexpectedly to 213k from 216k prior. Given that the median estimate was for a rise to 219k this is a decent beat and it continues to suggest a robust labour market. The big US banks have been in focus this week with JP Morgan delivering a disappointing set of results for the past quarter, while the Bank of America Merrill Lynch and Goldman Sachs both beat. Today, it was the turn of Morgan Stanley, and unfortunately for investors there was more bad news on this front. ESP came in at $0.80 vs an expected $0.89 as the firm's two biggest business units, Wall Street trading and advisory and wealth management both suffered revenue declines amid a difficult market environment last year. This meant that companywide revenue declined 10% to $8.55B, compared to an expected $9.3B. The firm posted the weakest fixed-income trading results of its peers, plunging 30% to $564m, compared to the $806M estimate. Morgan Stanley also updated its strategic goals, giving investors guidance on performance metrics for 2019. During last year’s review, Gorman said that the bank could earn returns on average common equity of 10 to 13 percent, expand its market share in investment banking and trading and boost wealth management profit margins to 26 to 28 percent. The bank achieved those goals in 2018 and reiterated those targets for 2019, according to Thursday’s presentation. Morgan Stanley stock had a bad year in 2018, falling 24% and the stock is called to open lower by more than 4% on the open. In terms of Wednesday’s price action the most negative of the large cap US indices was the US 100 which ended the day in the red. The US500 was mixed, managing to eke out a small gain but fading into the close after earlier gaining nicely. The US30 fared the best and while it did end off its highs, it still managed to hold on to the bulk of the gains.